The True Strength Index (TSI) is a technical indicator that was developed by William Blau in the early 1990’s. While there are many applications for the True Strength Index, professional traders use the TSI indicator to gauge the strength of a trend. The TSI is better suited for trade management instead and not providing entry signals. 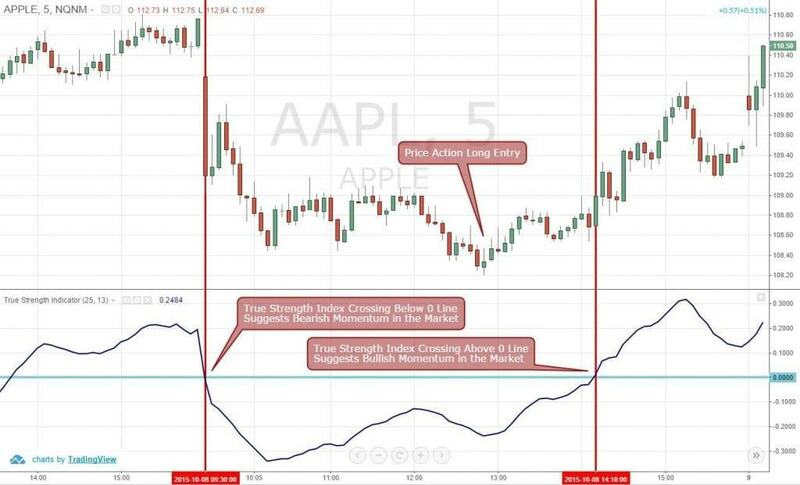 In a nutshell, the true strength indicator is a momentum indicator. However, since the true strength index calculation applies exponential moving averages as a smoothing factor, the TSI can provide an early indication of whether the prevailing trend will continue or reverse. 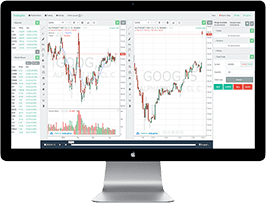 Armed with this information, you can easily decide if you should keep holding on to your winning trades or take profits. How to Interpret the True Strength Index? 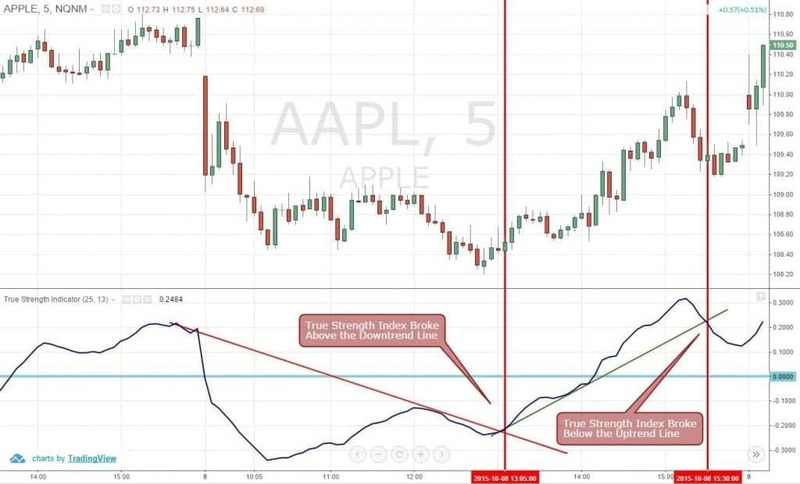 Before we show you the practical applications of the true strength index, let us first take a look at how to interpret the indicator. Primarily, the True Strength Index oscillates between 100 and -100. When the index line crosses above the zero line this is a sign that the market bias has turned bullish. By contrast, when you see the TSI cross below the zero line, this is a sign the price action has turned bearish. Please keep in mind if you change the periods in the true strength index settings, the indicator will respond to price action accordingly. For example, if you calculate the True strength index for 50 periods, you will effectively reduce its sensitivity compared to when calculating for 15 periods. Now that you know how to interpret the True Strength Index, would you like to know exactly how you could apply and incorporate this indicator in your day trading strategy? Please keep reading to see how. The quality of the price action bar we identified in Figure 1 isn’t great. Nevertheless, since this is just an example, let’s assume you took a long position when AAPL made a higher high at $108.50. Once you are long the trade, you might wonder if you should keep the position open or close it with a small profit. If this was a strong candlestick, you may have enough conviction to hold onto the position. Even professional traders often get enticed to close a winning trade with a small profit, especially, when the quality of the entry was not so great. However, if you had the True Strength Index on your chart, you could have seen that the index line was gradually going up. So, you would probably lean towards not closing the position, right? Good decision. As you can see on the example chart, as soon as the True Strength Index crossed above the zero line, the price began moving in an impulsive fashion. 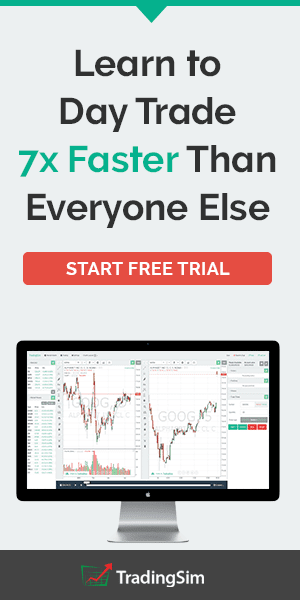 If you had a short position in the market, you can use the same technique to hold on to your short trades as well. Meaning, if you see the True Strength Index crossing below the zero line, keep your fingers off the trigger! Agreed? 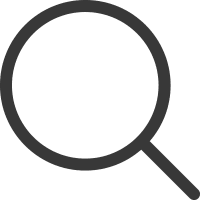 While it is always a good idea to wait for the True Strength Index to cross above or below the zero line, there are alternative methods for identifying trade signals. If you look closely in Figure 2, you can see that the peaks and troughs of the True Strength Index match with the actual price peaks and troughs, but the trend lines often act as a leading indicator of an impending change in the trend. Hence, you can easily anticipate a change in the market bias once the TSI breaks above or below the existing trend lines. In Figure 2, you can see that when the True Strength Index broke the downtrend line, the momentum changed. However, when the True Strength Index broke below the uptrend line, it turned out to be a false signal. Are you wondering if you should take these kind of trend line breakout signals seriously? Well, do not use the trend line breaks as an entry signal because it is not meant to be used this way! Instead, consider keeping your winning trades open as long as the True Strength Index trend line is making higher highs and higher lows. You can also use the True Strength Index divergence to identify if the trend is going to change anytime soon. 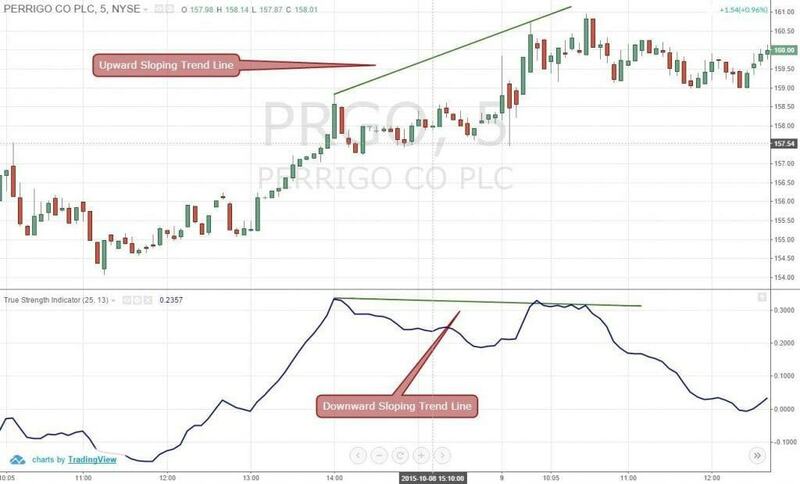 When you see a True Strength Index divergence like the one in the PRGO chart (figure 3) above, do not simply close your positions. That would be suicidal! Remember that during strong trends, the True Strength Index tends to generate a lot of false divergence that do not play out very well. 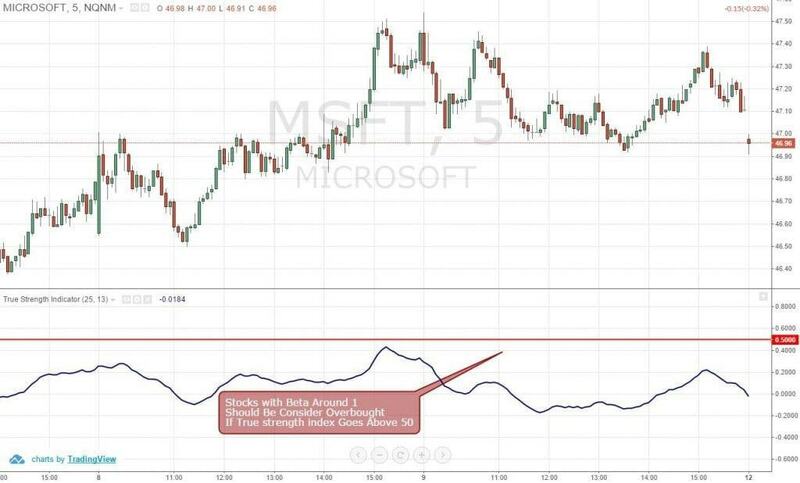 Instead, when you see a divergence forming in the True Strength Index, meaning the price is making higher highs and the True Strength Index is not crossing above its previous peak, keep your position open, but move your stop loss close to the market price to book some profits in the process. This way, if the divergence does play out and the trend reverse, you will at least get out with some gains. If the trend continues, you will be more than happy that you allowed the winning trade to run. Do you remember that trading cliché: cut your losses short and let your winners run? Just like trend lines, you can also draw horizontal support and resistance lines on the True Strength Index. If you find that the True Strength Index line breaks above a major resistance or below a major support level, respectively, then you can immediately close your open positions. 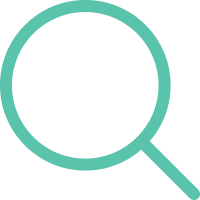 On the other hand, if you see that the True Strength Index is fluctuating around its support and resistance levels, it may be a good idea to hold on to your winning trades. Before we discuss how to use the True Strength Index levels to identify overbought or oversold levels, let us make one thing clear that if you are trading highly volatile stocks like tech companies, the True Strength Index range has to be higher. In contrast, if you are trading blue chip companies that have low volatility, then you can use a lower True Strength Index range to identify if the stock price is overbought or oversold. One way you can decide about the True Strength Index range would be using the stock’s beta. If the stock’s beta is above 1, use a higher True Strength Index range like +70 and -70. On the other hand, if the stock’s beta is below or around 1, you can probably stick to a +50 and -50 range. You can easily change the levels you want to see on your chart in Tradingsim using the true strength indicator settings. If you check on Google Finance, you would find that MSFT has a beta of 1 (as of November 24, 2015). Although MSFT is a tech stock, this is an established company. Hence, based on the beta alone, you can consider this stock to be overbought and oversold when the True strength index crosses above or below the +50 and -50 levels, respectively. One of the great features of the True strength index is that unlike other oscillators, you can use it for identifying both the trend direction and the trend strength. Isn’t it much easier to keep an eye on a single indicator like the True Strength Index instead of using combinations of multiple indicators like stochastics and directional movement index? Just keep in mind that if you need to change the true strength indicator settings for each trading instrument based on the stock’s volatility. Otherwise, you will end up getting a lot of false signals, which will do more harm than good. 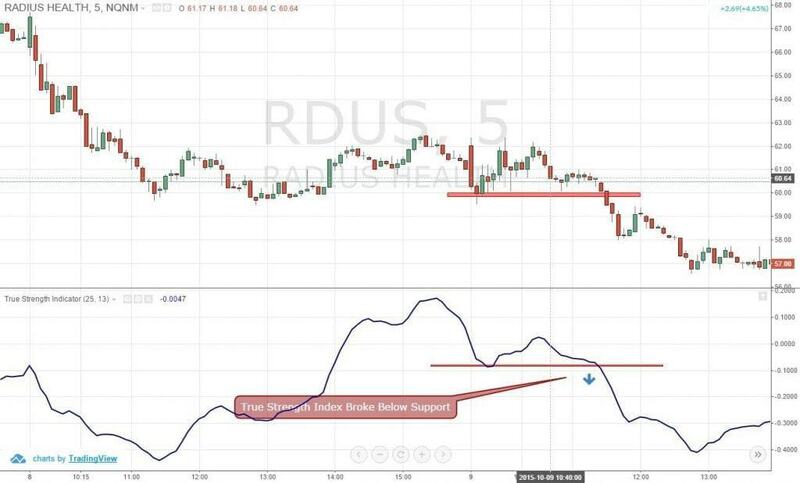 Nonetheless, True Strength Index could prove to be one of the best technical indicators that can help you improve your trading by keeping you in winning trades. it is really good explanation , thanks for the indicator education. please let me know what are the indicator values to be kept in indicator, for short Tern period and long-term period to be kept for Indian stock mkt. NIFTY AND BANKNIFTY. By default in my using software it short Tern periodas 3, and long-term period as 9 . Great Article! I’ve really learned a lot from your site. I had a question and was wondering if it is at all possible to replicate the TSI using another indicator? Similiar to using the PPO in place of the MACD and vice versa. Unfortunately my platform doesn’t have the TSI indicator.